Your visitors, readers and customers should be your most important source of inspiration. Let them help you provide the best content to meet their needs. Doing that has never been easier since WordPress has specific and extremely useful plugins intended for getting valuable feedback from your customers or readers. By adding a WordPress feedback form plugin to your blog or website you can start gathering user feedback. One of these plugins is CaptainForm – a WordPress form builder plugin you can handily use to create not only powerful feedback forms for your website or blog, but any kind of WordPress forms such as contact forms, order forms, booking forms, event registration forms, polls, surveys, quizzes and many more. After installing CaptainForm, you can create your feedback form in three easy steps: edit the form, choose the settings and publish it. It’s that simple! 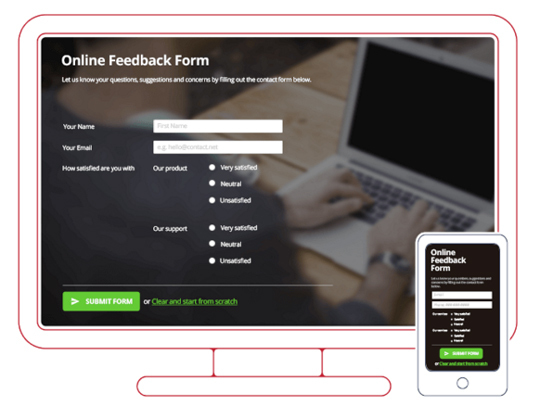 Choose the Feedback form template from the wide range of form templates that CaptainForm offers and start from there. 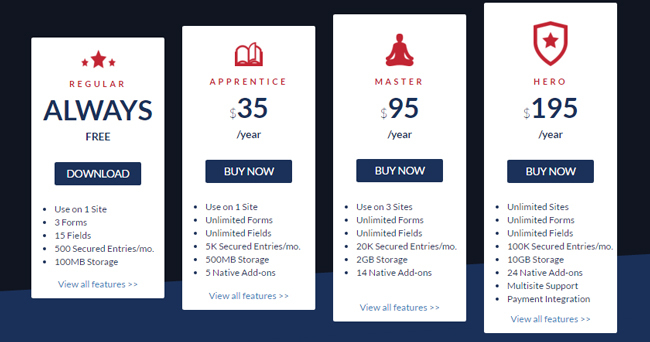 CaptainForm comes with a variety of form fields – basic and advanced. Several work really well with a feedback form: Text area for adding a comments field to your form, Likert scale, Star rating, Image and File Upload. In terms of layout, you can choose the form width, display your form on multiple columns, align field labels however you want, choose how you want to display field instructions and more. CaptainForm also comes with various default theme styles that you can customize as per your liking. If you know CSS, you can go ahead and use it to create your form. You’ll find the Themes sub-tab under Settings. Also under the Settings tab, you’ll find Notifications, 3rd Party apps, Security, Rules and more. With Notifications you can easily set up email notification options, choose to receive notifications via SMS, set up autoresponders, send a copy of the complete form to the sender and create a thank you page or redirect them to a particular page. You can add a number of third-party apps to your feedback form with the click of a button. For instance, you can collect emails and leads with MailChimp or AWeber. CaptainForm’s 3rd Party Apps is a strong feature – no add- ons required since you have all the functionality you need within the plugin. CaptainForm supports: MailChimp, ActiveCampaign, Campaign Monitor, SalesForce, ExactTarget, Marketo, Google Drive, Dropbox, Zoho CRM and many more. You can ensure your forms are secure with password and anti-spam protection, submission limits, captcha and country filter. After choosing your preferred settings, you can go ahead and publish the form by generating a shortcode, using a sidebar widget or a function call inserted into your theme. Now you can pick your plan and start gathering valuable user feedback.